I don’t know if it’s the fall foliage, abundance of pumpkins on porches or savory bowls of squash soup on every menu….but I’m having a major love affair with orange these days. 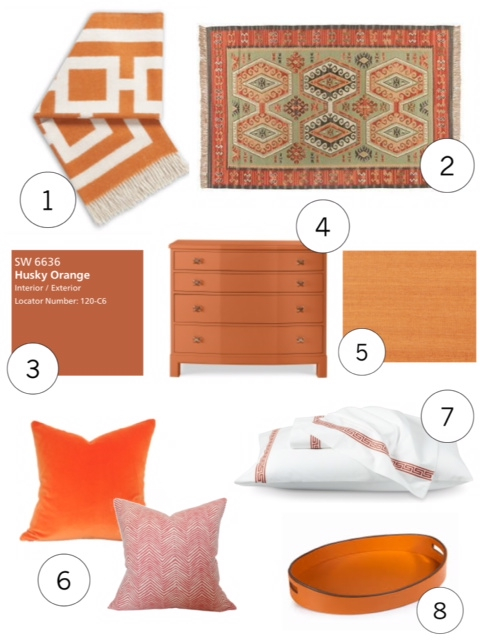 A color that represents happiness and warmth, orange is cozy and so classic New England that it’s hard to find a place where it doesn’t work! Orange is showing up in a lot of my work lately…whether it’s flat-out orange, rust, coral, or peach – I’m drawn to it in every hue. I love pairing it with neutrals – beige, brown, and cream – for a look that is quintessential fall in New England, but classic year-round.